A collection of 72 600x800 pixels full color penguin boy in action comics for people of all ages. In this issue, we have 4 action about Penguin Boy. They are 'Penguin Boy', 'Free Ice-cream For Penguin Boy', 'Penguin Boy Goes Swimming' and 'Penguin Boy In Penguin City'. 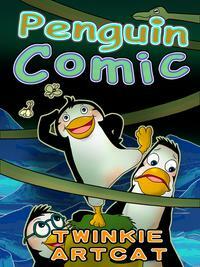 This is the first comic eBook for Penguin Boy.